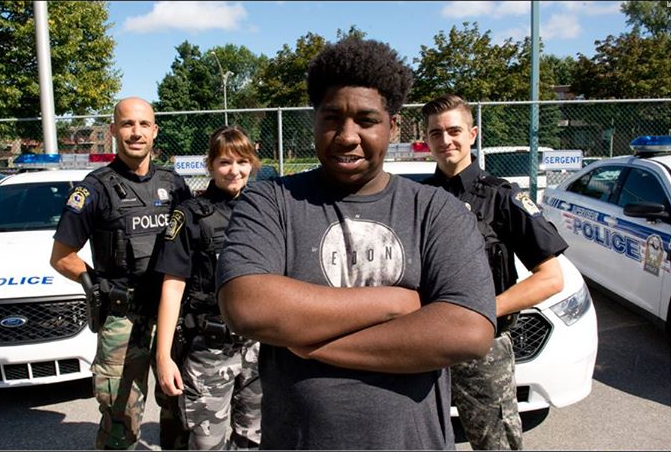 LAVAL, Canada -- Canadian teen Malyk Bonnet was headed home after finishing his shift as a cook at a restaurant, when he noticed a couple on the street involved in an altercation. The 17-year-old's quick thinking after encountering the pair is now being praised as heroic by police, who credit him with helping save a woman they say had been abducted by her ex-boyfriend, reports Canada's CBC News. "The girl was saying, 'Please help me. He don't want to let me go. I want to go home but he don't want to let me go,'" Bonnet told the CBC. "My plan was to keep them in a public place, where there's a lot of people," he told the CBC. Bonnet's instincts were right. The police had actually been looking for the 29-year-old woman, who had allegedly been kidnapped by her ex-boyfriend earlier that day. Laval police told the CBC that they believed the man was very dangerous and had prior run-ins with the law. Bonnet explained in an interview with the CBC that he was waiting for the right moment to call the police. That moment came when he offered to buy the couple food at a Tim Hortons restaurant. He gave the man some money and Bonnet was able to sneak off. Bonnet's cellphone was dead though, so he borrowed a phone from someone in the restaurant so he could call 911. The police arrived within minutes.